'Jem's' going to be a live action movie. Truly! After directing "G.I. Joe: Retaliation," Jon Chu is taking on another '80s favorite: Jem and the Holograms. The fictional animated band is going to come to life in a live action movie from Hasbro Studios helmed by Chu and produced by Bieber's manager Scooter Braun, Chu and Jason Blum (who himself has produced everything from "Paranormal Activity" to "The Reader"). The trio made the announcement with a YouTube video calling out for fan participation. "Jem" was a TV series that ran for three seasons in the mid-80s, telling the story of record company and foster home owner named Jerrica Benton who had a secret alter-ego named Jem. 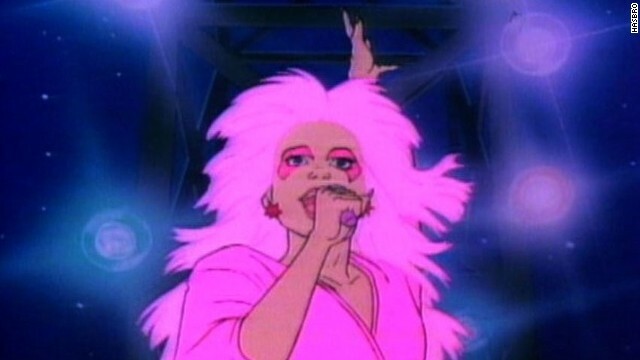 Jerrica worked hard to keep the two identities separate, as she only became "Jem" with the help of Synergy, her holographic computer that could turn her into the glamorous lead singer of the rock band Jem and the Holograms. According to Variety, Ryan Landels has written the script, which will update Jem for the social media era. The producers are envisioning a Jem who, as a teenaged oprhan, becomes Internet famous as a singer and parlays that fame into "a music-driven scavenger hunt" that will help her discover a final message left by her father. Production is supposed to begin this spring. Here's hoping the new Jem's music is just as contagious. People need to take some mind-altering materials and come up with some creative ideas of their own.